Bula! Do you love holidays as much as I do? Sand between the toes, skiing down mountains, getting that special massage, eating out and watching amazing sunsets….! As a parent and owner of my own business, rather than view them as holidays, they’re more like a change of scenery. I realised that very early on into becoming a parent. Because with kids, I’d come back exhausted despite the ‘holiday’, so they became known as ‘a change of scenery’. The same can be said as a business owner really, because whilst you may have the team in place, systems working, business ticks over, you’ll probably never switch off 24/7. That’s partially because technology enables you to stay connected now. And perhaps – you may like me, want to still be connected. I’ve never been a complete switch off person. However regardless of whether you can or choose not to ‘switch off’, it is super key to your health and success in business and leading a team to know when you do need to come first. 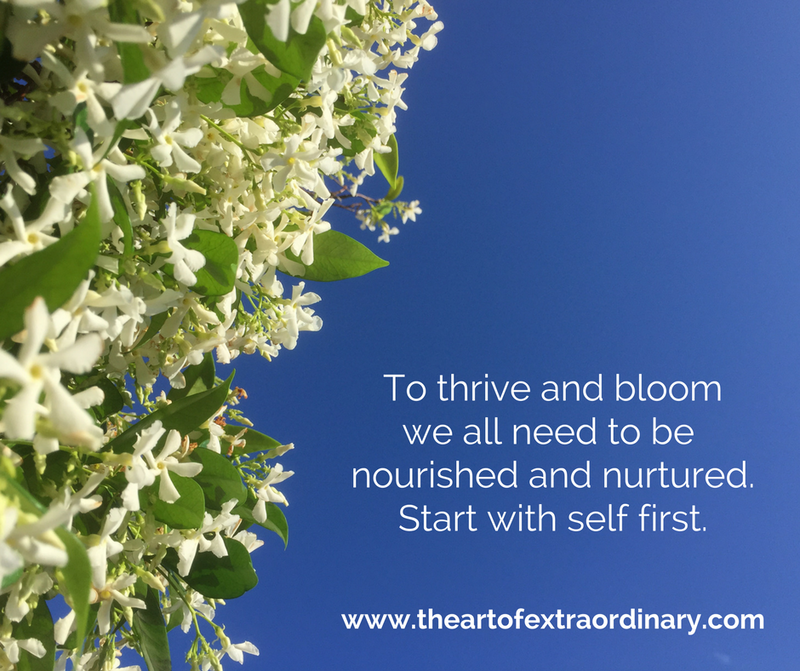 You must realise the value and place the utmost of importance in nurturing yourself so you can thrive and bloom. Interestingly nature has a way of doing this. Have you ever seen the flowers that close up at night? By day they’re open and blooming and then by night, they shut up and close. We saw tonnes in Fiji, lagoons full of incredible lilies that would do just that. 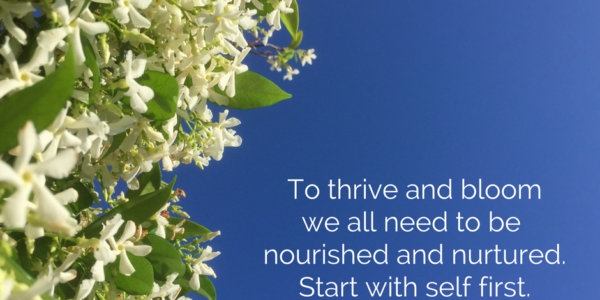 However, as a parent (whether you’re raising babies or building a business) we must know how to be able to ‘close’ up, shut down, recharge and rest in order to be able to thrive and bloom. The reality of it is not as easy in real life, so it may take some practice. Rather than setting the bar too high or making it difficult or complicated. Here are a few easy tips to follow to ensure you can look after yourself first. Remember on the aeroplane, how they always talk about fitting your own face mask first. You need to be able to do this on a daily basis. Not just random, occasional spurts… here are my top 4 favourites for taking care of me first. Whether it’s riding the stationary bike (that is in the middle of the lounge room, so you can still ‘be’ with the kids in the morning instead of disappearing outside), or going for that power walk or make it a run/walk if you’re building up, rock hopping with the kids on the weekend, or a yoga class or two per week. If you love variety to mix it up, no point boring yourself and then running out of steam going great guns for moments, then nothing for months. Have something in the diary to look forward to. Whether it’s a 3-week break booked a year away or some mini 1 or 2 nighters blocked into the diary. We love looking forward to holidays and having them to count down too. Do it ahead of time, so that when you return from one break, you already have the next one locked into the calendar, budgeted for, partially planned and again – something to look forward to. Hang out with People who Bring out the Best in You! I remember at meeting this guy at uni, now a dear friend and he used to always laugh at my jokes. He made me feel like a million dollars because he somehow (magically) brought out the best in me. BTW, we never snogged or got together or anything. He just simply was one of those amazing people who brought out the best in me. I was my true funny self with him. Not everyone has that ability, so make sure you’re not hanging out with drainers – too much. Sure, I get we cannot cull everyone from our life. BUT – you can absolutely limit time with those and make sure you’re spending quality time with quality people who really help you grow and thrive as a business leader and human being. Some people empower us to sparkle and be at our best more than others. Yes, really. Best advice a mentor Sharon gave me some years ago. When we stop using up energy on bitching and moaning whether it’s in our own head or with others, we save a mountain of time and energy that can be better put to other uses. I kind of put self-deprecation, extreme sarcasm, blame, justification, judgement and defence into the same bucket. Listen to your language and hear what patterns you start to run… when you cut some of it out, phew, you’ll really feel a bit lighter. It’s really tricky to thrive and bloom, when you’re the one with the hammer slamming yourself (consciously and sometimes unconsciously). No matter what is going on around you. Remember you have a choice and you can own it. All of it. You’re not responsible for what others and do, however, you are responsible for how you respond to it and what you then make it mean and what you make out of it! So book in that next break “mini or big” and take care of you. 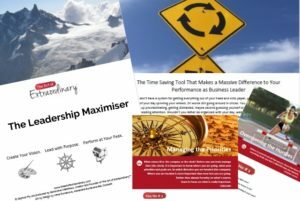 Want help with accelerating results for you, the team & business? How to Get Your Team to Change Gears?